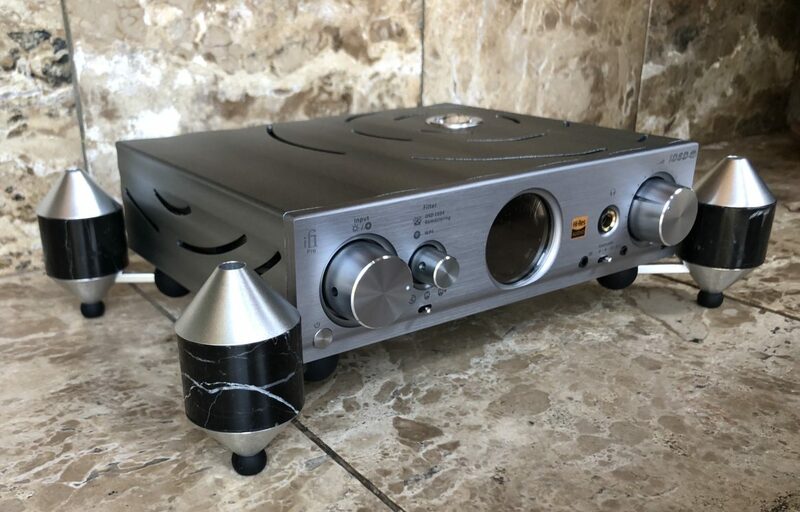 Is this the best DAC under R100 000 ? I think it might just be. 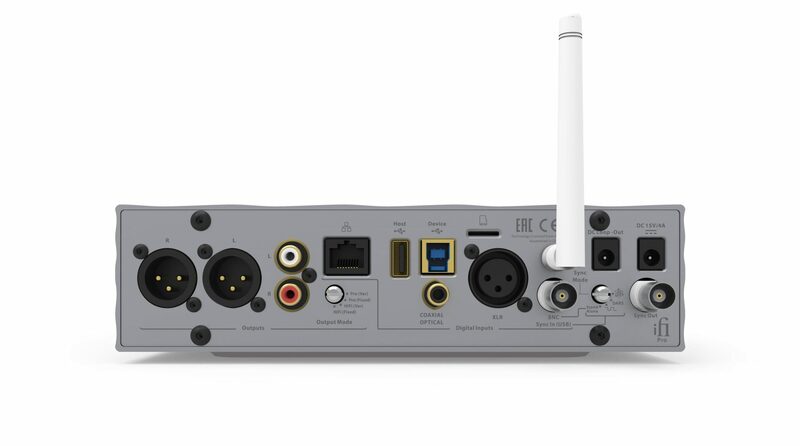 Where does one start with a DAC like this? Lets ease into it. This is not a dCS Puccini or a Devialet. But then again it costs almost 6 times less. So its not a pretty DAC with masses of metal and detailing, but it looks quite good. But it oozes technology. It is so packed with buttons and knobs, sockets and ports. I STRONGLY suggest to take it out and study it it carefully before plugging it in. When its on the rack you don’t want to hang all over it trying to read the “fine-print”. Note that some knobs can be pushed as well as turned. The RCA socket at the back doubles as optical too. Very clever. The metal finish is just the right colour. I wonder how a black one will look ? Or dark grey. Who knows, maybe a black edition arrives one day. So its a busy little box. Its display is crisp and neat. Very readable and doesn’t dominate. Adding the iFi Rack makes it look quite nice. It also isolates the DAC very well. Fixed as a pure dac or HiFi Variable if you want to use the iDSD as a DAC/Preamp. The HiFi Fixed mode puts out 4.6V vs 11.2V of the Pro Fixed mode. 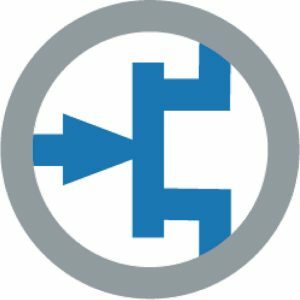 Ethernet to use iDSD as a network streamer. USB 3.0 Type B to connect to PC or laptop USB port. Wifi and Ethernet again using the Muzo app. 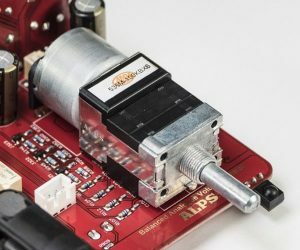 WPS button (filter button) to link with your wifi router. BNC digital input which acts both as SPDIF and AES3id to be used with CD transports. Yes, I know…but how does it sound ? Simply incredible! I was taken aback on the quality of its sound. I had to reign myself in and listen critically and honesly. Its so easy to get carried away when a piece of equipment ticks the right boxes from the start! I have on hand the mighty EMMLabs XDS1 V2 CD/SACD Player, itself with an incredibly good DAC. Also the exceptional dCS Puccini with DSD up-sampling. Well this little beast held its own. In fact more than that. This to me was where it shone the brightest. Immediately the soundstage was wide and deep. Switching to the Valve output just made the stage more alive but slightly less defined. I have not heard any DAC with such a beautiful stage. The EMMLabs is more defined, more Reference. The dCS also, very defined. Everything in the soundstage had the right “size”, it wasnt overblown. Maybe a tad taller than perfect but then again it filled my room with a 4m ceiling, so it might not be a valid point. Detailed sweet. If that can be regarded as a proper description. Airy yes, lots of information and lots of discoveries. The old reviewer cliche of “I heard things I never heard before” is valid here. There were a few surprises. There is so much information available. You only realize it when you switch back to your reference and “feel” things are missing. A bit of the magic seems gone. The better the recording, the higher its resolution, the more the PRO shines. Brilliant. Male voice were so good, so natural. With the added treble detail, the timbre in instruments and the forming of notes from the mouth and throat becomes very apparent. Its not something I noticed before, but now the artist’s voice catches you. Leonard Cohen has such a different voice-box than Joe Cocker or Steve Strauss. One had a natural depth the other were enhanced by smoking. I caught myself drifting away “into” the singing and forgetting to take a note or two. Who cares ? I can always come back and listen critically! Punch…the first word that came to mind. Fast and detailed. Some notes literally feels like a punch to the body. The more effort the artist puts into making the bass notes count and flex, the better the PRO reproduced it. It just kept going. The B&W 800’s loved this. Mighty notes just rolled out of them! Its something worth mentioning. It felt like a 45RPM vinyl playing. The same sensation of rhythm, pace and ease. I concur with Hi-Fi News September 2018, its brilliant. I cannot summarize the features better than iFi itself. The gang of four - a quad “stack” of Bit-Perfect DSD and DXD DACs by Burr-Brown. The “interleaved” configuration means that up to eight pairs of differential signals can be used and mixed - four pairs of signals per channel. 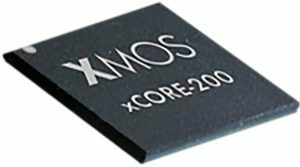 The new XMOS XU216 X-Core 200 Series 16-Core processor has a maximum of 2,000 MIPS (two billion instructions per second) calculation power in dual-issue mode as a USB interface. All-digital processing is Bit-Perfect, without employing ASRC or up-sampling unless digital filters are explicitly selected. 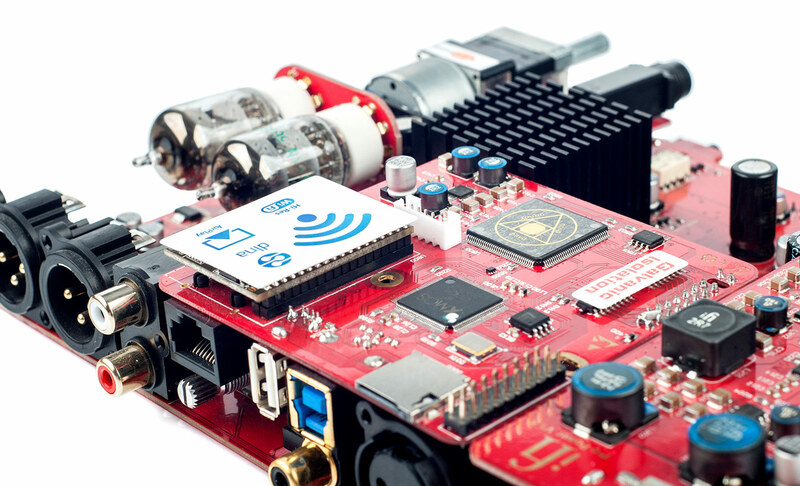 It can decode signals from all Inputs, from USB (up to 768kHz/DSD512), AES/EBU or S/PDIF (up to 192kHz/24Bit) and Wifi/Network/Mass-storage (up to 192kHz/32Bit). A first! The Pro iDSD brings Studio Grade DSD1024 to a wider audience. 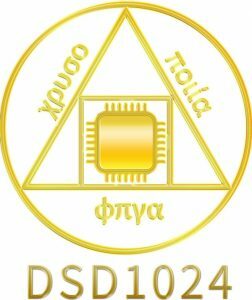 For the DSD1024, if the MultiBit DAC is one half of the ‘heart’ of the Pro iDSD’s digital engine, then the other half is surely the Crysopeia FPGA. 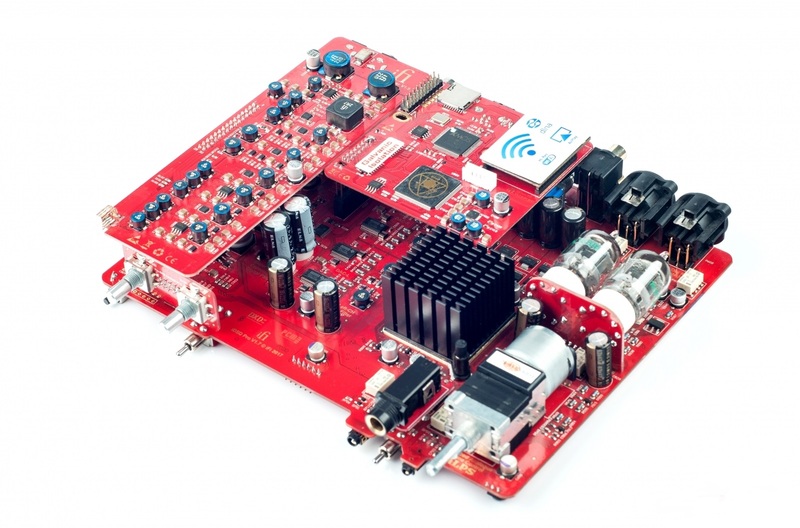 This is where we believe FPGA excels, by handling the remastering duties to attain the DSD1024 audio format. In fact, the Pro iDSD can handle all audio formats to to DSD1024 or DSD512 or PCM 768kHz with user-selectable digital filters. For all inputs data is sent to the Memory Buffer. Here it is de-jittered to eliminate any transmission of source jitter to the DAC output. 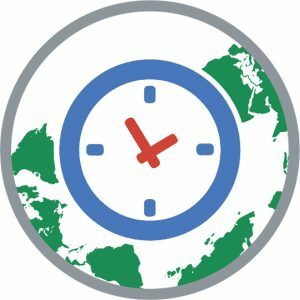 The data from the Memory Buffer is further re-clocked by with the low-jitter Global Master Timing® clock, which also drives the X-Core 200 and FPGA. The Pro iDSD can directly link to a router for online music play. 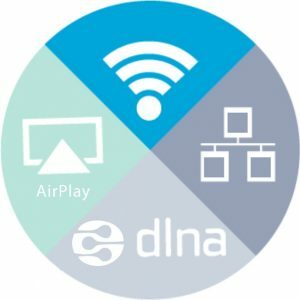 With LINKPLAY™ WiFi/network playback, built-in Spotify and Tidal, and wide protocol support for 32-Bit/192kHz and DSD64, the Pro iDSD can directly link to a router for online music play. All inputs are galvanically-isolated (including USB). This is the same level of execution as found in the AMR DP-777 Digital Processor. The USB input section has its own separate power management system with multiple regulators and filtering operating from the galvanically-isolated voltage generated to power this section. 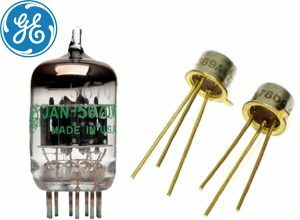 Firstly, we use the best tubes - General Electric 5670. Second and just as important is the circuit design. Unlike other amplifiers that have the same circuit and just switch in/out the tube section, the Pro iDSD is the very first of its kind that has two individual input circuits – one tube and one Solid-State. This results in the best sonics of both worlds because the signal path is the shortest and there is no compromise to ‘shoe horn’ the tubes into an already existing solid-state circuit. We are tube lovers and we appreciate sometimes there is a need for even more tube-like sound, there are two tube settings – Tube and Tube+. The Tube+ position reduces overall loop-gain and thus negative feedback to the minimum. This gives a different trade-off between the tube’s natural harmonics and the transient performance. The amplifer audio circuit is fully discrete, fully-balanced with either tube or J-FET input switchable, bipolar second stage and MOSFET-buffered bipolar class A Power stage. The resulting circuit may be best described as a ‘tri-brid’ where each device is used to greatest sonic advantage while minimising any drawbacks. Furthermore, the circuit is pure DC coupled to avoid using any sonically-degrading coupling capacitors. The Pro iDSD has a premium Japan Alps motorised rotary volume potentiometer. This is the ‘6-Track’ version with 4 tracks used for a true balanced volume control. This is the litmus test for any amplifier to see if it is truly balanced or operates internally in single-ended mode. Those using ‘2-Track’ volume controls may offer balanced in and out but are not true balanced designs. The Pro iDSD however is fully-balanced from beginning to end. Just like its sibling the Pro iCAN. To maximise dynamic performance, especially with bass, the analogue stage is backed by audio-grade ELNA Silmic Capacitors located within a few millimetres of the audio circuitry supplied. Elna Silmics are used in the final stages of the main DC bus which is filtered using multiple stages of inductor/capacitor filters. While other consider them 'boutique' components, we consider them 'must haves' to achieve the best sound quality. 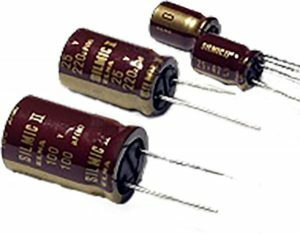 The digital section is powered by a bank of Elna Dynacaps ‘Super Capacitors’ totaling 6.6 Farad (6,600,000uF). 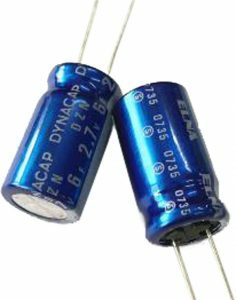 iFi uses Elna Dynacap DZ (TM) Super capacitors because they have 400 times lower internal impedance than common grades of super capacitors. All incoming DC is converted to a high-frequency waveform then rectified and filtered by a choke input capacitor filter. This produces a first-level DC bus from which all further voltages are derived. The circuit also generates a galvanically-isolated power supply voltage for the USB input circuitry. 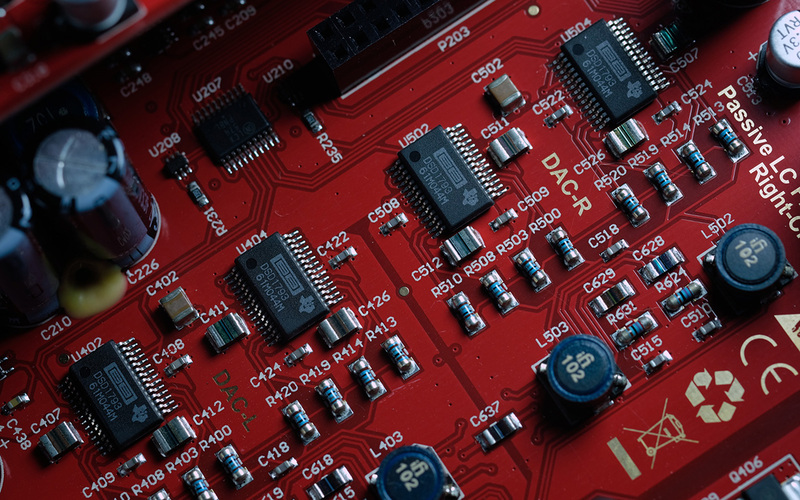 The digital section is powered by a bank of Super Capacitors totaling 6.6 Farad (6,600,000uF). 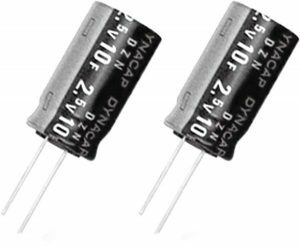 iFi uses Elna Dynacap DZ (TM) Super capacitors because they have a 400 times lower internal impedance than common grades of super capacitors. Individual low-noise TI LDO Regulators with local LC filtering provide the final low-noise power for all individual digital sections, a total of six individual regulators cover Clock, SPDIF Input and the DAC’s digital section. For the analogue stage (especially the tubes) higher voltages are needed. The whole stage effectively operates on a 60V rail offering massive potential dynamic range.